Gousto box – Half the girl I used to be – my 200lb weight loss journey! Half the girl I used to be – my 200lb weight loss journey! I stopped ordering Gousto boxes over a year ago as they never seemed to have many healthy options but they have relaunched this year alongside health coach Joe Wicks and now offer a fabulous range of healthy options so I decided to order again. It arrived this afternoon and I wasn’t disappointed. I chose 4 meals from a menu of 30 and it’s great to know that all my food is locally sourced. Plus I’m not going to argue that after discount 4 meals for 2 people came to the grand total of £12.85. If you want to give a box a try then my referral is at the bottom of this post. With my code you get a whopping 60% off your first box, plus 30% off any other boxes you order in your first month. You can cancel at any time too so if you just want to try the first box at 60% off it’s not a problem. You also get the option to skip deliveries, so if you look at the weeks menu and decide you don’t like what’s on offer but you still want more deliveries then you just skip the delivery for that week! You can select the day for your delivery too so you can make sure your home to receive it or you can choose to leave it with a neighbour or in a safe place if you’re not going to be home – all the refrigerated stuff comes in an insulated ice bag so stays chilled until you can sort it out. 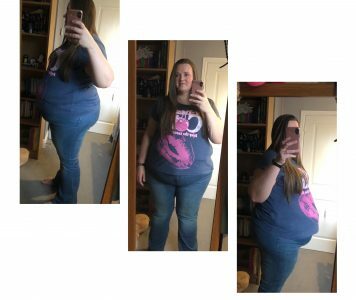 Previous Post First weigh in…..
Next Post Back to my Mon-Fri routine and feeling safe again!